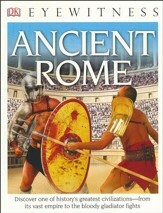 The events and personalities of ancient Rome spring to life in this history, from its founding in 753 B.C. to the death of the philosopher-emperor Marcus Aurelius in A.D. 180. Paul A. Zoch presents, in contemporary language, the history of Rome and the stories of its protagonists?such as Romulus and Remus, Horatius, and Nero-which are so often omitted from more specialized studies. With an eye detail, Zoch guides his readers through the military campaigns and political developments that shaped Rome's rise from a small Italian city to the greatest imperial power the world had ever known. We witness the long struggle against the enemy city of Carthage. We follow Caesar as he campaigns in Britain, and we observe the ebb and flow of Rome's fortunes in the Hellenistic East. Writing with the belief that such stories contain moral lessons that are relevant today, Zoch presents a narrative that is both entertaining and informative. An afterword takes the history to the fall of the Roman Empire in the West in A.D. 476. 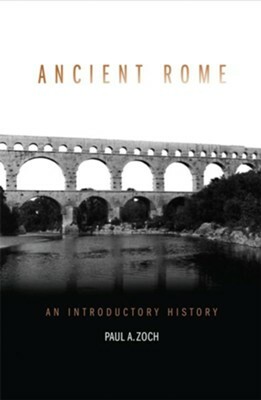 I'm the author/artist and I want to review Ancient Rome: An Introductory History.